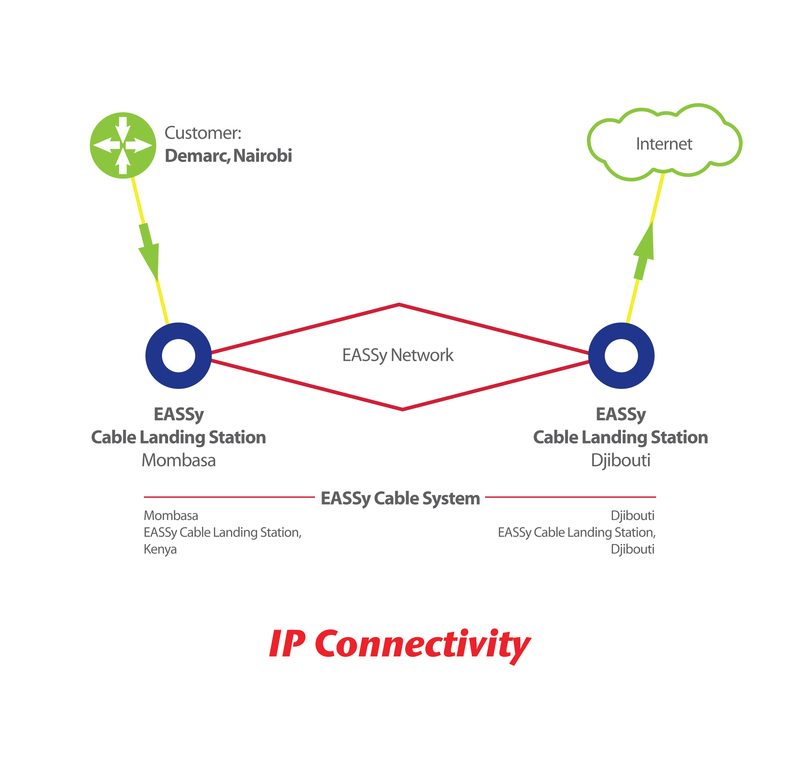 Dalkom Somalia IP Transit offers African carriers, ISPs, content providers, and other service providers and carriers, IP connectivity to global internet content across Europe, America, Asia & the Middle East and in Africa through partnerships with Tier-1 operators. London, Marseille, Amsterdam and Frankfurt are at the heart of the internet in Europe, also benefiting from excellent connectivity to the Americas and Asia, as well as the rest of Europe, the Middle East and Africa. With African IP traffic typically destined for Europe, the ability to exchange customer traffic in Djibouti (natural hub of the internet) saves hundreds of milliseconds compared to other IP hubs. 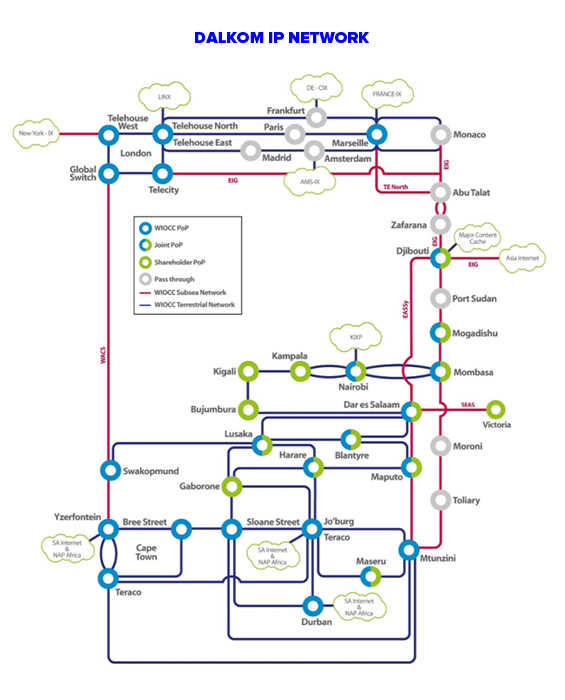 Djibouti also connects directly to Mumbai.WIOCC’s IP PoPs in South Africa and other Africa locations help to serve regional content directly. Dalkom Somalia has also established peering – including major content providers – at world-leading internet exchange points (IXPs) in Virginia (Equinix Ashburn), New York (NYIIX), London (LINX), France (FRANCE-IX), Amsterdam (AMS-IX) South Africa (NAP Africa) and Frankfurt (DE-CIX ), giving its customers enhanced access to the global internet while also enhancing WIOCC’s network redundancy.